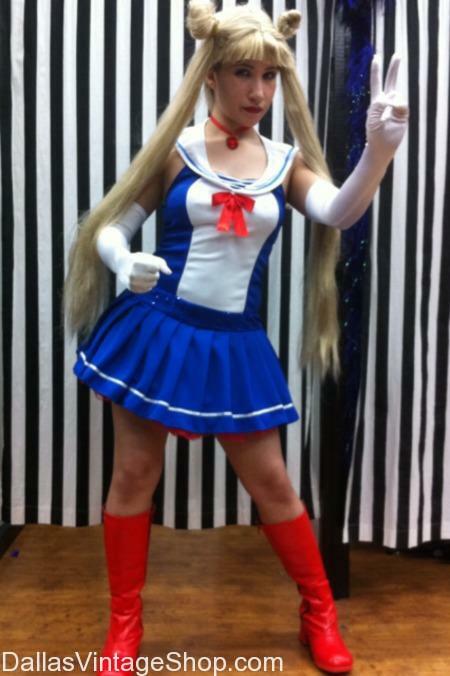 This Sailor Moon Ikkicon Event Costume Suggestion is only one of a billion we have in stock. We are the source for Anime Events in the Metroplex. We have all you need to know about Ikkicon, like Event Times & Dates, Tickets, Costume Contest Info, Maps and Ikkicon Schedule and Detail. We even provide links to the Official Ikkicon Website & Anime Event Costume Suggestions. We have tons of complete Anime & Cosplay Costumes at Dallas Vintage Shop. Costume Events are our business so save us, share us and check our Events Category for Anime Events, Week by Week & Month By Month. At our Costume Shop you will find Anime Event Costumes, Cosplay Event Costumes & More.